Vaporesso VECO One kit, includes 2ml VECO tank and 1500mAh built-in battery. TFTA technology and EUC utilization, makes anti-leak and cost-effective. VECO One is a perfect starter kit for beginners and those who looking for a cost-friendly kit. The VECO One kit from Vaporesso is a vape pen shape electronic cigarette, it has most benefits of e-cig starter kits, just as easy to use, simple setting, and built-in rechargeable battery, even sleek metallic appearance. 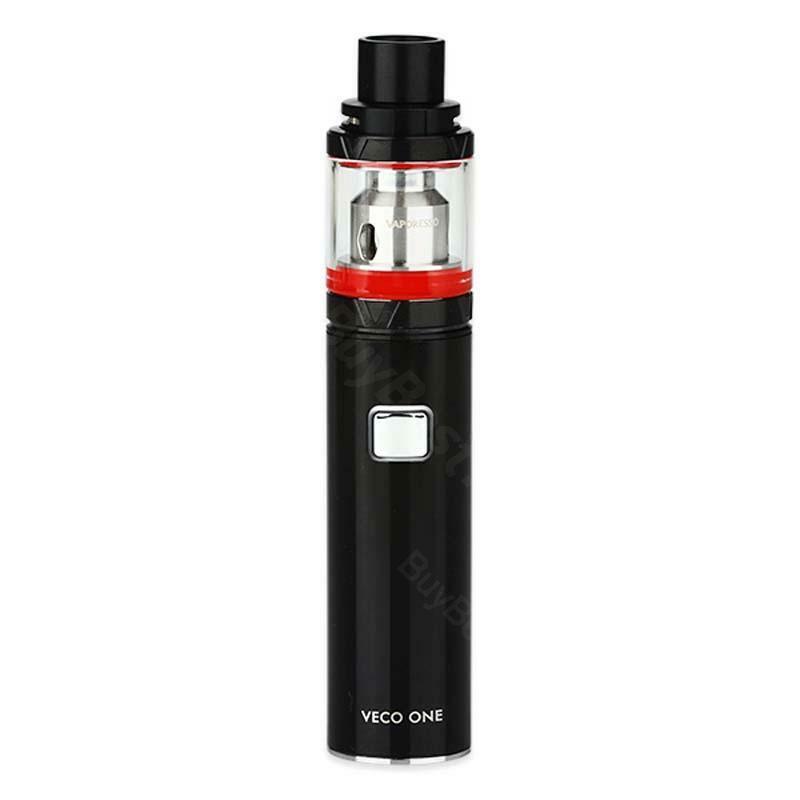 Measuring 22mm in diameter, VECO One kit includes the highly acclaimed 2ml VECO sub-ohm tank and 40W MOD which built-in 1500mAh battery, that it is an excellent subohm start kit. TFTA technology and the EUC utilization, makes anti-leak and cost-effective. That will prevent the leak and cost issues to leave you pure vaping experience. Overall, Vaporesso's VECO One Starter Kit is a perfect device offering for beginners and those who looking for a cost-friendly vape kit. • Quick Links: Vaporesso Ceramic EUC coil ; Vaporesso Traditional Clapton EUC coil. it was an impulsive buy. I didn't get my hopes up, but when I got it in hand, I was like, this one is excellent! According to its performance, VECO ONE's my fav now. it's so powerful and just because it's compact, I love it even better! A++! Very nice, and arrived soon, thank you. For me, it's easy to work with, easy to fill and works great. I decided to quit smoking once and for all, so this is my first vape device, works fine, blows some real clouds. lol love it!